Author, of Chasing Amanda and Megan’s Way, and who I now call friend, has been a frequent visitor here. She has a heart of gold and adding to her already 36 hour days, she must have with all that she does, is now also promoting indie authors and I signed on to help her. Today’s guest is an author she would like to introduce to us all. So please welcome Mr. Dean Mayes!!! 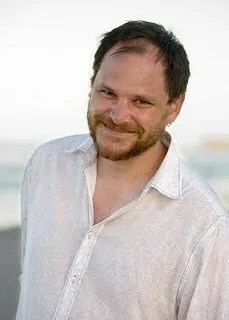 Dean Mayes has been writing, blogging and dreaming for most of his adult life, in between practicing as an Pediatric ICU Nurse and raising his two children, Xavier & Lucy (who was born during the writing of his debut novel The Hambledown Dream). Dean lives in Adelaide, Australia with his partner Emily, his children …and his cross-breed cattle dog Simon. 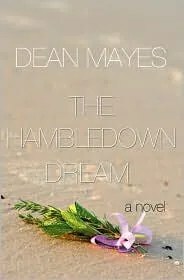 The Hambledown Dream, a lyrical and moving paranormal romance, is his first novel. Dean is currently working on his second novel, tentatively titled “Gifts Of The Peramangk”. He writes regularly for a loyal following at his blog Dean from Australia. Music As A Literary Experience. A Guest Article By Author, Dean Mayes. to be listened to be appreciated it – right? How then, can music translate to a literary experience that is as satifying for a reader, as the music itself? The answer is not as difficult to achieve as one might believe. would be when I first began to pen the story. I grappled with the concept for the longest time. does a writer describe a piece of music that the reader, in all likelihood, has never heard? feature three or four key pieces in the story. Just how I was going to describe them being played, was initially difficult. Slava Grigoryan, that the other angle I was seeking became apparent. suite called “The Sounds Of Rain”. though they are floating on air. earlier as a virtuoso. So his technical ability can be taken as a given. evoking a sense of eroticism, an emotion that is, undoubtedly emotionally satisfying to 99.9% of us. you. You can then work with your two lists and extrapolate on the themes you find therein. seek out more of those forms which we derive the greatest pleasure from. bit as rich and rewarding as the music itself. www.deanfromaustralia.com in digital and print formats.